When it comes to doing business in Greater China and beyond, having a bank with an outstanding track record, and an extensive local and international network is crucial for success. This is why individuals and businesses alike turn to Standard Chartered Bank (Hong Kong) Limited (SCBHK) which is named as the Bank of the Year for 2018. “We are witnessing the emergence of complex supply chains and new frameworks for cross-border cooperation, such as the Greater Bay Area (GBA) and the Belt and Road Initiative (BRI), which creates the need for increasing regional connectivity. 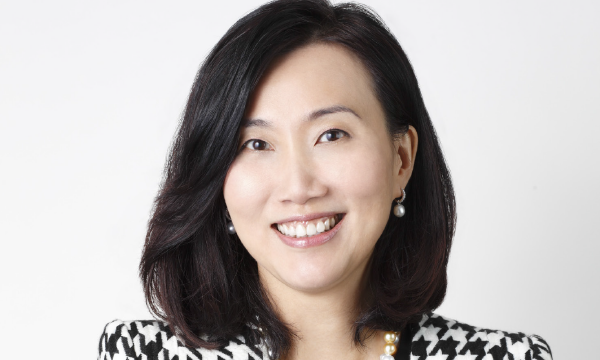 With our extensive network across these markets, as well as our ongoing digitisation, we are uniquely positioned to help clients capture the benefits that they bring,” says Mary Huen, Chief Executive Officer of SCBHK. Since China made the development of the GBA one of its key strategic priorities, SCBHK has been actively helping its clients capitalise on the opportunities arising from the region, particularly as a number of major infrastructure developments, such as the Guangzhou-Shenzhen-Hong Kong Express Rail Link and the Hong Kong-Zhuhai-Macao Bridge, were completed last year. For example, the bank set up a new Express Banking Centre in the Express Rail Link’s West Kowloon Station to provide services for retail clients as the Express Rail Link commenced services in September. It has also stepped up its focus on corporate clients’ cross-border banking and financing needs in the GBA. “GBA is a strategic priority for us. We expect that a wide range of industries will benefit from the GBA development and we are targeting the seven sectors that are likely to benefit the most from the GBA. These sectors are telecom equipment, advanced manufacturing, electronics, e-commerce, logistics, pharmaceutical and medical equipment sectors. With our wide range of products and services, we are well-positioned to help our clients seize the opportunity and grow their businesses,” Huen says. Beyond GBA, SCBHK also eyes the huge potential of the BRI as part of the Standard Chartered Group’s global strategy. With a presence in 45 of the 65 BRI markets, the Group aims to be the go-to bank for the BRI projects. It has announced a commitment to support the BRI by facilitating at least US$20 billion in financing by 2020 and has signed a Memorandum of Understanding with the China Development Bank to formalise a strategic partnership for facilitating trade and investment relating to the BRI. In particular, Huen points out that, as an international financial centre with a sound legal framework and business-friendly tax environment, Hong Kong can play a significant role as the Chinese government continues to promote the BRI and the internationalisation of the renminbi. “Hong Kong can act as a ‘super-connector’ that connects China and the rest of the world. For example, the Hong Kong government has introduced new corporate treasury centre (CTC) rules with preferential tax treatments to qualifying CTCs set up in Hong Kong. We can help clients involved in BRI projects to set up CTCs here for better liquidity and FX management across the region and globally,” Huen says. Meanwhile, as Hong Kong is moving into a “New Era of Smart Banking”, SCBHK is investing to stay ahead in the digital revolution. Last year, it launched a number of market-leading digital initiatives that significantly enhanced the customer experience. For example, it launched mobile account opening service, which allows people to open a bank account in as short as just eight minutes from their mobile phone. It has launched new instant payment services to allow customers to make P2P payments anytime, anywhere in both Hong Kong dollar and renminbi via the Faster Payment System. It introduced the Stacy chatbot to help address customers’ online enquiries, and also partnered with Ant Financial to provide an innovative blockchain cross-border remittance solution between Hong Kong and the Philippines. Furthermore, last year SCBHK submitted an application for a virtual banking licence to the Hong Kong Monetary Authority (HKMA) and set up a new entity in preparation for the new virtual bank. It was the first major bank in Hong Kong to announce an intention to set up a virtual bank. It is expected that the HKMA will approve the first batch of virtual banking licences in the first quarter of 2019.“We are looking forward to bringing a completely brand-new banking experience to the people in Hong Kong. We expect to set up a virtual bank that helps promote financial inclusion and foster dynamic partnerships to create a comprehensive digital ecosystem,” Huen says. 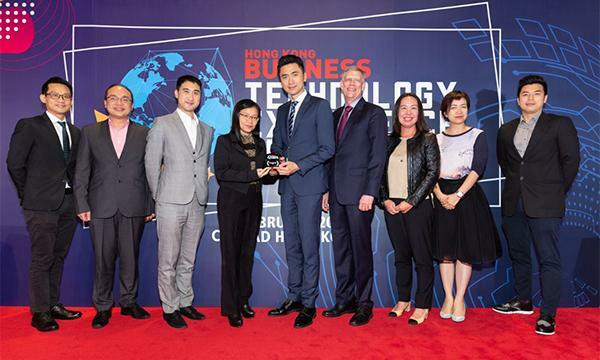 In 2018, SCBHK also opened its eXellerator innovation lab to promote innovation within the bank as well as to tap emerging financial technologies and data science opportunities in the region, so as to bring better products and services to its customers in Hong Kong. The eXellerator, with an area of over 10,000 square feet, is a collaboration space for business units, clients, technology companies and industry partners to come together to solve business problems and explore opportunities. “The word ‘eXellarator’ stems from two words: acceleration in change and excellence in client service. The opening of the innovation lab in Hong Kong demonstrates our commitment to develop Hong Kong as a smart banking city,” Mary explains. “While the market keeps evolving, we continue to gear up ourselves and enhance our offering to make sure we can meet our clients’ personal financial and business needs, especially against the backdrop of digital developments and China’s opening. We are proud to be a leading bank in Hong Kong with a long history and deep understanding of the city,” Huen concludes.